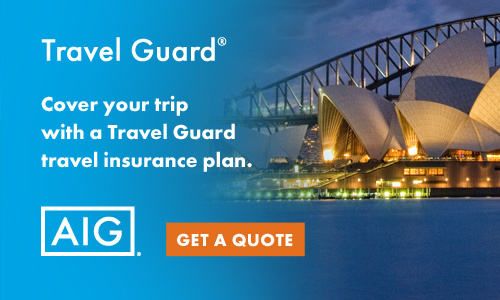 Travel insurance is available for your trip through our partner, Travel Guard. Travel insurance can cover your air tickets as well as any trip value or deposit you wish to insure in the event of cancellation, delay, interruption, or missed connections. Travel Guard’s comprehensive insurance can also cover you for emergency accident and sickness medical coverage while overseas along with emergency evacuation. An optional upgrade for coverage for cancellation for any reason is available upon request. Premiums are based on the age of each traveler and the amount you wish to insure. Please click on the banner below or contact us for more information. Kit and Ksusha, thank you both so much for all of your work in coordinating our travel plans to New Zealand. We had such a fabulous time and everything went so well thanks to your help! All of our accommodations were really good and one of our favorites was Vintner’s Retreat. It was perfect for our family. Also, place on the coast in Punakaiki was really special. Thank you again for your contribution to our family’s wonderful vacation!